With a comfortable temperature of spring, April is the best time that pushes us to go outside and travel. There are places which are best to visit in April like Wilmington when it is hosting Azalea festival, cherry blooms in Japan or seeing gray whale migration in California. Whether you have a companion or alone, travel to a specific place especially in April will help you feel relax and energized. Eventually, you will realize that taking a trip in spring is just like an April shower, it is refreshing your mind and soul. You will be able to have the most exciting experiences if you visit this romantic city in April. With a pleasant atmosphere and humidity is still away, you can enjoy the canal and the city history with no worries. The place won’t be too crowded since summer tourists are not around yet. Start your trip from St. Mark Square where they are holding Rosebud festival on April 25. The festival is commonly called Festa di San Marco or the feast of St.Mark. You can enjoy all the activities during the festival but make sure not to skip the gondolier regatta. You can continue your trip to the Doges palace where you can admire the city’s architecture and art as well as the enthralling history at two museums. You can choose public transportation called Vaporetto to go around economically, but riding gondola is a must try for every traveler. 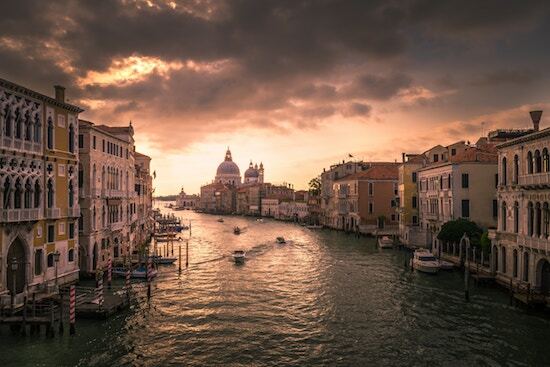 Take a walk on every small bridges and canal then stop at the Rialto Bridge to enjoy the most fascinating view. Aomori is one of the best places in Japan for sightseeing cherry blossoms. You are suggested to visit the city which is found in the north tip of Honshu island sometime around late April to early May. You will not only be able to adore the spectacular cherry trees in full bloom, but you will also be able to visit elegant castles, mountain view, and hot springs. In this period, Aomori will host cherry blossom festival or locally spelled as Hirosaki sakura matsuri. You can enjoy the colorful blossoms in a very unique way from boats, lightened at night, also the tunnels under the trees. Aside from the blossoms, you can also visit Sannai Maruyama Ruins which is the house of the architectural structures and artifacts from 5,500 years ago. Meanwhile, if you want to learn more about Japanese contemporary works and traditional art, you can visit the Aomori Museum of Art. What a better vacation than enjoying the beach. The weather is warm and dry while crowds are typically few in April. This time around before rainy season starts in late May is perfect to come to Cayman islands. Feel the cooling switch wind with the turquoise water while staying at the luxurious resort to get the most memorable experience. You can enjoy exploring the beaches by fishing, scuba diving or snorkeling around the coral reefs. Other activities that you should also try is kitesurfing, paddle boarding, and boating. After doing such outdoor activities, you can recharge your energy and liven up your appetite with island cuisine. If you want some adventures, you can plan to go to rainforests, hiking, biking trails or horseback riding. But, you shouldn’t miss the chance of viewing the fascinated Cayman Crystal Cave where stalagmite and stalactites formations can be found.